Mel and Janie are from England but are both now US citizens. Mel has been in the wine business ever since leaving school and he met Janie when they were only twelve and thirteen (she played the piano and he played the guitar!) and as they grew up together, they shared a passion for food and wine. They married at 19 and 20. The couple left England to live in France in 1970 and started a company called Master Wines and began selling little known French wines in the USA. Mel was a pioneer in bringing great wine values to the USA from France. In addition to promoting small estates from the South of France and pioneering the wines from the Rhône Valley, Mel was also the person who introduced and promoted the wines of Georges Duboeuf in the USA. While living in France in the 1970s, Mel also coauthored the first major work on the wines of the Côtes du Rhône. It was published by Faber and Faber and the coauthor was John Livingstone Learmonth. Mel became one of the foremost authorities on the wines from the Rhône and Southern France. After the success of Jordan, Mel and Janie left California for New York and got together with friend Jonathan Waxman (who was the first chef for Alice Waters at Chez Panisse in Berkeley, California) and opened Jams (Jonathan and Melvyn's). It was one of the hottest and most successful restaurants of New York in the 1980s and the first Californian style restaurant. Mel and Jonathan also opened Buds and Hulots in New York and later Jams in London. Mel started work again in the wine business in 1992 and introduced a line of varietal wines from the Languedoc district of the South of France into the USA market under the label Les Jamelles. He was the first person to start promoting and selling single varietal wines from France. 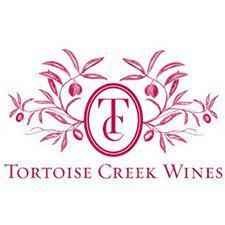 He sold Les Jamelles in early 1996 and two years later began Tortoise Creek. Wine Enthusiast 87BEST BUY“This wine is very flavorful and unapologetically oaky, from the smoky aromas to the almost-sweet maple and brown-sugar flavors that blend with a jammy fruit character. It is quite deep in color, saturated in flavor but not overly full bodied.“ ~J.G. Wine Enthusiast 87 "Best Buy""Sweet-seeming fruit and maple flavors give a candy-like quality to this medium-bodied, ripe and soft wine. The vanilla and maple flavors meld nicely with rich raspberry and sweet cherry notes." ~J.G. "The wine is 100% Cabernet Sauvignon and was sourced from a single sustainably farmed vineyard in Lodi. Our Cabernet Sauvignon “Cherokee Lane” is loaded with aromas and flavors of red and black cherries supported by vanilla and cedar nuances. It is beautifully balanced with both fruit and tannins. "Our 2014 Merlot is full of fresh, bright aromas and flavors of blackberries, cherries and herbs. It is round, rich and ripe with soft tannins. An ideal pairing with grilled or smoked meats, burgers and pastas." ~M.M. Wine Enthusiast 90Best Buy"This full-bodied wine is fruit yumminess all the way through. It has wild berry aromas and flavors that feel pure and focused, and is soft and almost sweet in terms of mouthfeel. An essence of blackberry lingers on the finish." R.V. Wine Enthusiast 90Best Buy"This full-bodied wine is fruit yumminess all the way through. It has wild berry aromas and flavors that feel pure and focused, and is soft and almost sweet in terms of mouthfeel. An essence of blackberry lingers on the finish." ~J.G.